On Saturday, February 2, 2019 the Museum and Northwest Film Center will present Esther Podemski’s film House of the World. Podemski will be in attendance for a post-film discussion. Esther Podemski’s deeply felt, excavating documentary sees her traveling to Poland with a group of her parents’ contemporaries in an attempt to trace the history of an old family photograph. Learn about the film and read more from the director below. Your documentary House of the World explores the relationship between objective history and personal memory of the Holocaust. What was the most prominent thing you learned about this dichotomy while making the film? Before shooting my film in Poland, I conducted many hours of audio interviews with a number of relatives who were Holocaust survivors. I also gathered archival footage and music at The Institute for Jewish Research in New York (Yivo). After I returned with footage from Poland, I worked with Barbara Guetti, a professor of comparative literature on a script in preparation for editing. We did a lot of research and read a variety of books at her urging. Many of these sources are not classified as “official “ or “objective history”. We read Roskie’s books “Against the Apocalypse” and “The literature of Destruction “ which included chapters on Akimovich Ansky (1863-1920). Ansky is one of the most remarkable figures in Russian and Jewish history and literature. Born to a traditional, Yiddish-speaking Jewish family, Ansky became a populist activist and an author of fiction, poetry, and drama in Yiddish and Russian. 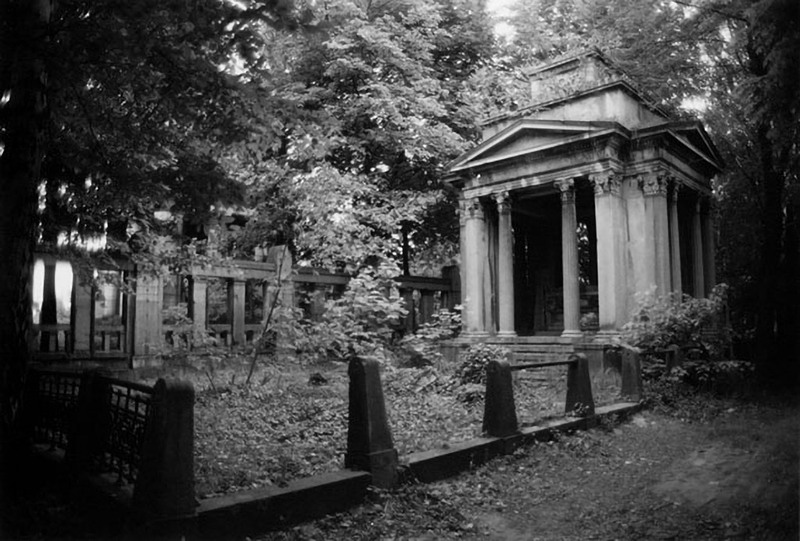 His work helped us to construct a narrative about the meaning of Jewish cemeteries and the emotional burdean of the desecration of the dead. We also read the Yiddish poet Abraham Sutzhever and the Romanian poet and camp survivor Paul Celan. A crucial influence in understanding the meaning of oral testimony was Holocaust Testimonies : Ruins of Memory by Lawrence L. Langer. This book is an analysis of the ways in which oral testimony of survivors contributes to our understanding of the Holocaust. What is the form and function of memory, as victims relive devastating experiences? The compilation of these individual oral testimony shapes our understanding of historic events. In my case I had a large family of Holocaust survivors from which to draw but not all of them were willing to be interviewed and some who did were not all that trusting in the beginning. They talked to me largely out of a sense of obligation and generosity. 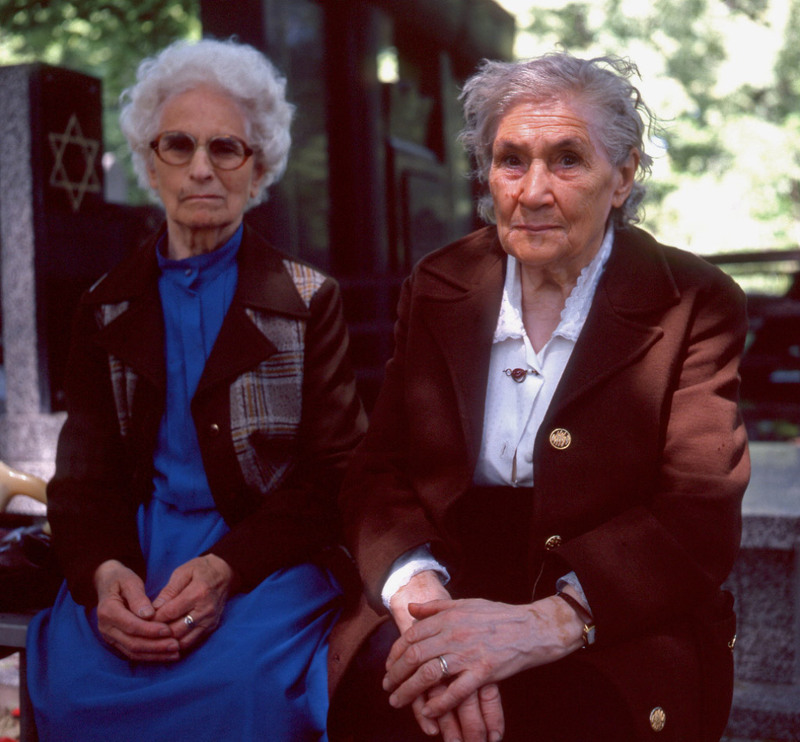 The testimonies of survivors is the definitive historic record of the Shoah. Survivors are the real experts. When we read Promo Levi, his literary gifts transforms reality through style, imagery and chronology. When we read Lucy Davidowicz ‘s book, The War against the Jews: 1933-1945, a chronology of events unfolds beginning with the role of Jews in Hitler’s mental world view and ending with the final solution. As a historian she guides us through the tidal wave of the historic epic. But when we read the testimony of survivors we feel a visceral truth. What is your personal connection to Portland? And what does it mean to be presenting and talking about your film here? 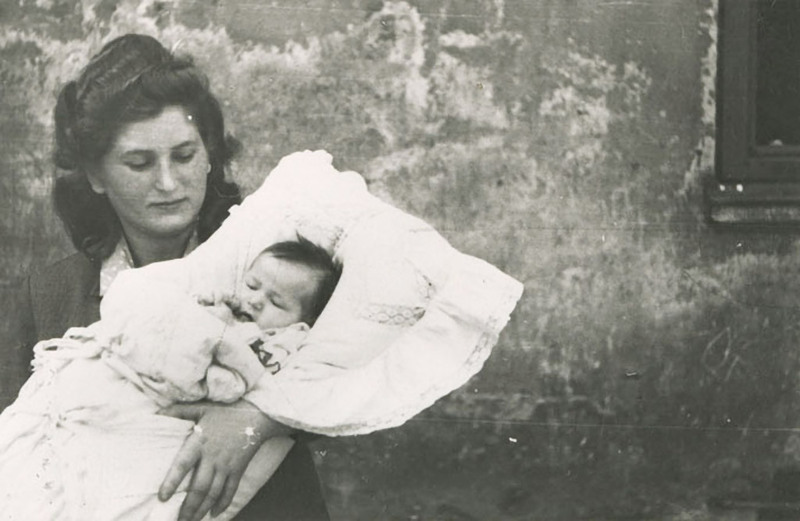 I was born in Lodz Poland shortly after the war to Max and Anna Podemski, survivors of the Lodz Ghetto, Auschwitz and other concentration camps. Our family left Poland illegally in the early fifties with the assistance of a guide provided by American Jewish Joint Distribution Committee and Refugee Aid (JOINT) and migrated to Israel. Dissatisfied with the tension and hardships of Israel, my father decided we would travel back to Europe. In Hanover Germany we lived in a displaced persons camp until the immigration barriers lifted for Jews to enter the United States. In 1952 we traveled by boat to Ellis Island and then took a train to Portland Oregon where my mother reunited with her sister Regina and her brother-in-law. Two more sisters and one brother soon followed. All were survivors and the four sisters married sole survivors. Every adult member of the family except one aunt through marriage had been interned in the Lodz Ghetto and concentration camps. I grew up in Portland Oregon. Growing up, my refuge was the Portland Art Museum and the Northwest Film Center. As a young adult I spent every weekend watching films. In those days few people made films. It was simply too hard. In Portland there was a committed and determined group of independent filmmakers who studied with Andries Deinum. The exposure to the range of masterworks at the Film Center was life changing and it was there that I was introduced to the expansive form of the documentary. The Film Center was and remains one of the best art house film venues in the United States. In the seventies I enrolled at the Museum Art School and after graduating I taught painting in the space that is now the Museum’s Northwest Collection. My paintings are in that collection. As a visual artist, I’ve continued to exhibit in Portland and currently have a one-person show of paintings at the Murdoch Collections exhibition space. How do you see your films through the lens of present day events? What impact do you hope they have? As Chris Rock says, “anti Semitism is the train that’s always on time”. The most dramatic recent incident of anti Semitism is the shooting of 12 people at the Tree of Life Synagogue in Pittsburg. Anti Semitism is also on the rise in Europe. What we see today is the same type of imagery and propaganda Hitler distributed in his leaflets in his native Austria in the early thirties such as a caricature of the greedy Jewish banker manipulating world currency. George Soros is a target of anti Semitism. If only we could attribute the attack on Soros to the fascist governments of Viktor Orban in Hungary, but this phenomenon is present in France and Poland and now in the United States. A recent article in the New York Times reports that on January 26, 2019, President Trump met with Ginni Thomas, wife of Supreme Court Justice Clarence Thomas. At the meeting she denounced George Soros, and claims that he is at the center of a conspiracy of liberal donors with “globalist” machinations. Anti Semitism is many things but the one thing you can be sure, it is the canary in the coal mine. So how does this current event relate to my film and the impact it can have? I want House of the World to be a contribution to the project of documenting the Shoah. My film is now almost twenty years old and the fact that it still has a life is more than I expected. What is disheartening is that it is still relevant to what is going on today. What is heartening is the courage and spirit of the film’s subjects who went on to raise children and find a new life.